A whitecoat is a newborn harp or grey seal with soft, white fur. 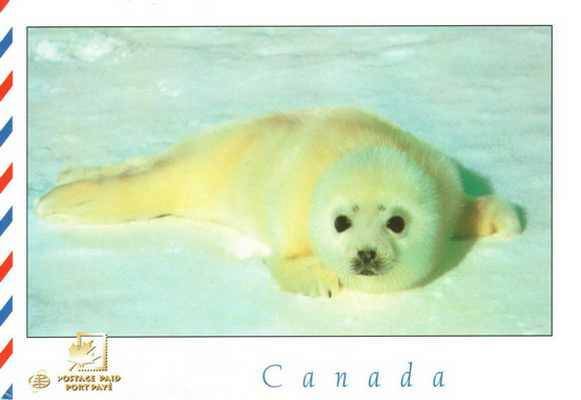 Newborn seals have yellow fur because of amniotic fluid, and are still wet. When the pup dries, it is called a yellowcoat. The amniotic stain fades and the fur turns white within a few days, and it gets the name whitecoat. First it's called a thin whitecoat, and when it becomes visibly fatter it is a fat whitecoat.